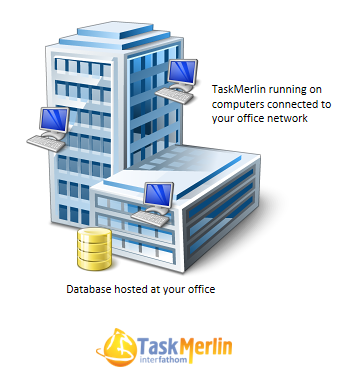 TaskMerlin Professional Edition is designed for multiple users operating over an office or home network (also called a LAN or Local Area Network). When a shared folder is created to store the database, the database can be shared with any PC connected to the network. * Browse to the network file server folder using Windows File Explorer, right-click and select the Map Network Drive context menu option. "After all the task management software we tried, TaskMerlin has been a lifesaver for our business."